There can be no denying that the dashing Ram Charan is one of the most successful and talented young stars in Telugu cinema today. During his reasonably successful career, he has won the love of movie buffs thanks to his effective performances, charming personality and effective screen presence. Moreover, he has impressed fans because of his amicable nature and cool attitude. Now, he is in the news for an awesome reason. 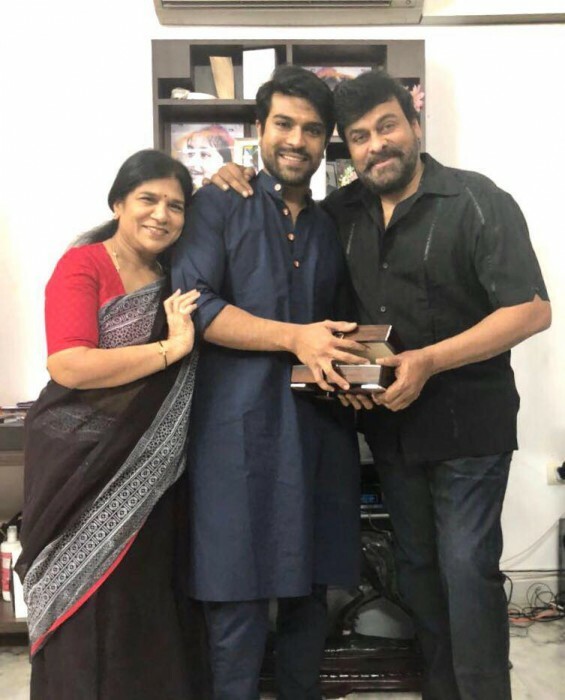 As it so happens, on the occasion of his birthday, the ‘Mega Power Star’ received a special gift from his dad and veteran Tollywood star Chiranjeevi. The megastar apparently gifted him a posh watch and made his special day even more memorable. Thanking his parents, he said that he was grateful to them for giving him a ‘timeless’ gift. “Thank you dad & mom for a timeless gift in advance..#megastarchiranjeevi,” he wrte on FB. We wish Charan a happy birthday and hope that the year turns out to be a good one for him. On a related note, Charan is currently gearing up for the release of Rangasthalam. The film is touted to be a romantic drama and has been directed by Sukumar. In it, he will be seen alongside the lovely Samantha Akkineni. During its pre-release event, Charan had said that Rangasthalam helped him appreciate the beauty of village life. “ Except for a couple of times as a kid when I visited the sets of my dad’s films in some villages, I have never spent quality time in a village. Rangasthalam gave me the opportunity to appreciate and celebrate what it means to live in a village. Life is so peaceful in a village and we can’t find pure and clean people anywhere else. I kept thinking how much we miss staying in the cities. I need to thank team Rangasthalam and director Sukumar for this life-changing experience and I should admit I discovered a new Ram Charan in this process,” he had added. 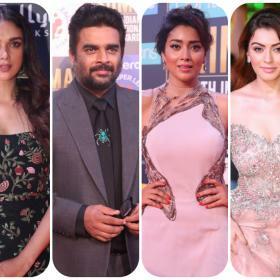 As far as Chiranjeevi is concerned, he currently has Sye Raa Narasimha Reddy in his kitty.